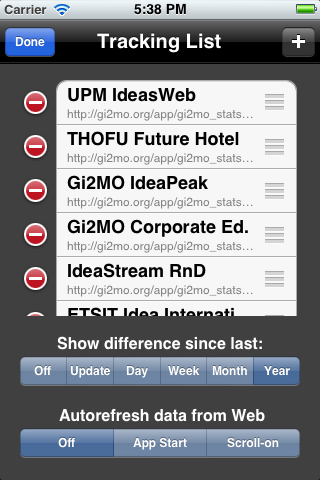 Gi2MO Stats is an iPhone application that serves as a monitor for tracking live data statistics of Idea Management Systems. 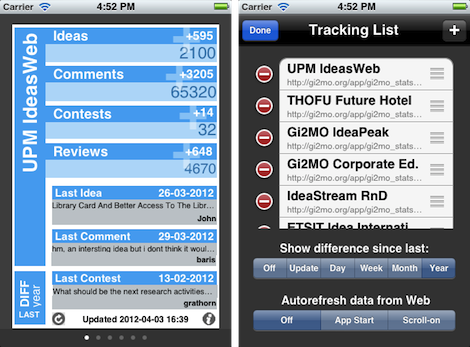 Info: An iPhone application that allows to monitor and compare the statistics of Idea Management Systems. 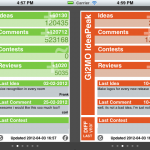 Related Blog post: IdeaSteam Services and iPhone.. 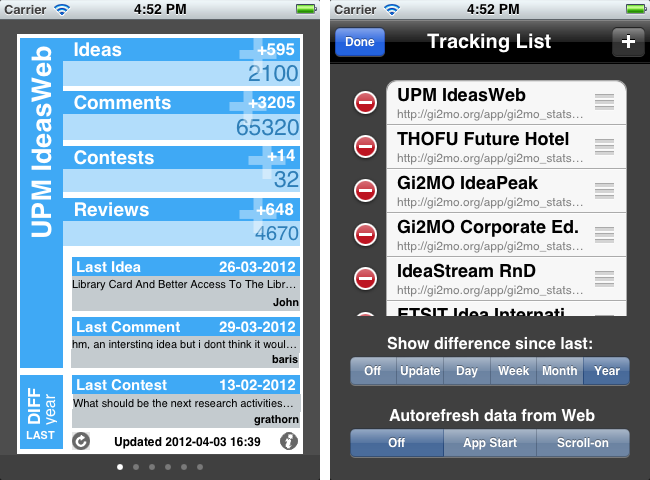 The statistics about the amount of new ideas etc. 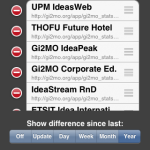 can be customized via selecting the time frame: since last data update, last day, last week, last month, last year. 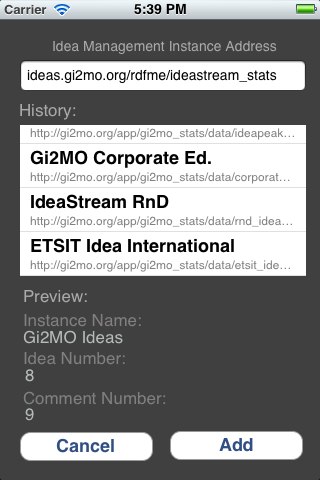 Gi2MO Stats is compatible with Gi2MO IdeaStream v0.1.5.2a and higher when installed together with RDFme module. 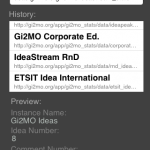 Gi2MO IdeaStream delivers a feature called IdeaStream Services and sets up automatically during install a service that enables communication with Gi2MO Stats. For details of using IdeaStream services please refer to the documentation of RDFme module that provides the core of this functionality.